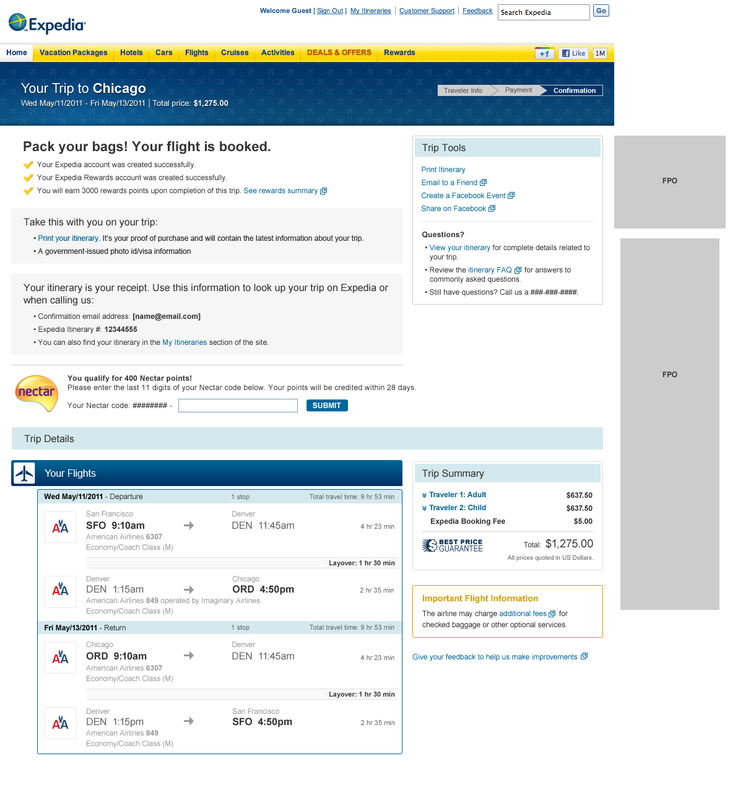 When I began this project, Expedia had been executing a rebranding and redesign effort over the course of several months. 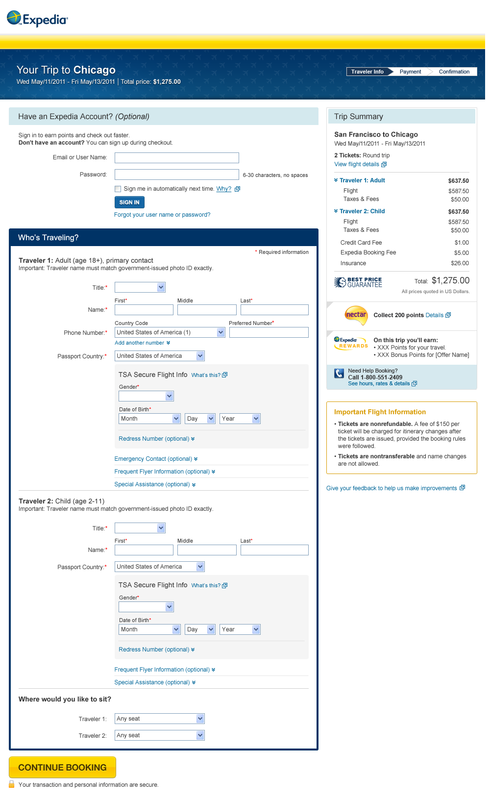 After shopping for flights on these newly redesigned pages, customers were being dropped into checkout pages sporting the old mid-90’s Expedia design, relegating the customer to a perfectly functional yet perfectly bland experience. Expedia wished to bring checkout up to par with the newest shopping pages on the site, making the transition into checkout more smooth and trustworthy. I worked with an Information Architect from Expedia who provided detailed wireframes and ensured that all requirements (business & legal) were accounted for and represented in the design. The checkout path for Hotels had been completed earlier in the year, and so there was a certain baseline for the styling of this new path. However, there were some new Flight-specific elements that needed styling which in turn informed some other changes to that baseline. In addition, Expedia was interested in having me explore ways in which I could add interest and style to the baseline visual language. The page header was one of those improvements. Instead of trying to emphasize the destination, price and dates solely in the sidebar’s Trip Summary, I echoed them with great emphasis in the header. My hypothesis was that by explicitly acknowledging this critical information, the user would have greater trust that the website was competent and caring. Another detail I added was the background field of small airplane icons. The idea was that each checkout path’s header would have its own icon pattern: airplanes for Flight, beds for Hotels, cars for Cars, and various mixes of all 3 icons for any combination of these products (known as a Package checkout).